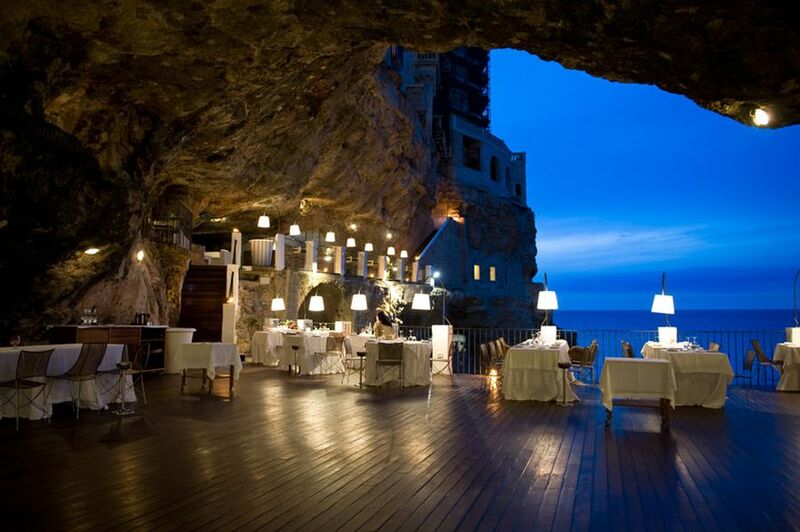 What makes a restaurant great? 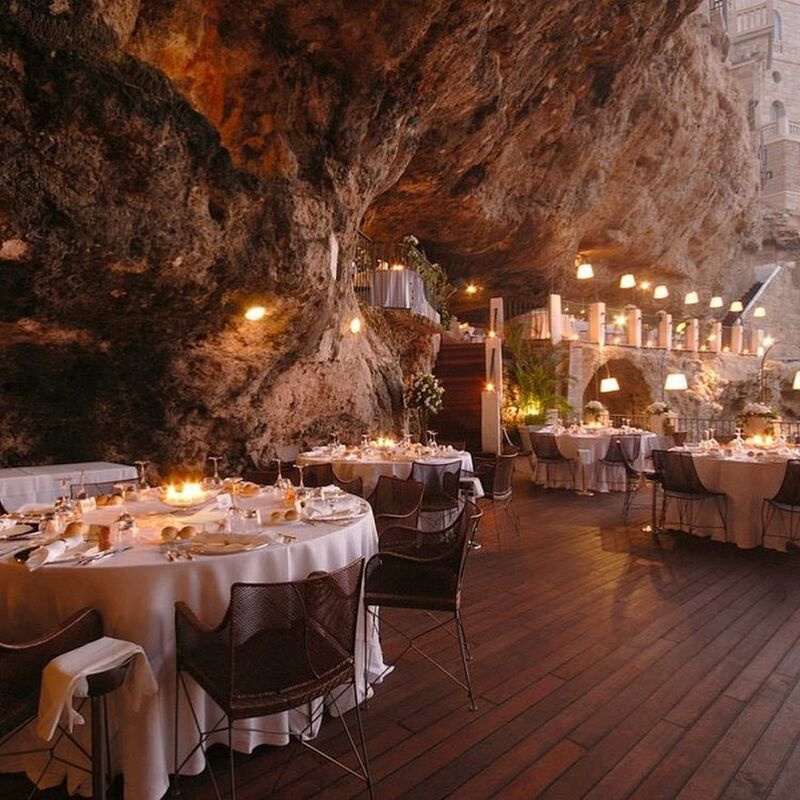 Perhaps it’s the service, or maybe the top-notch food. 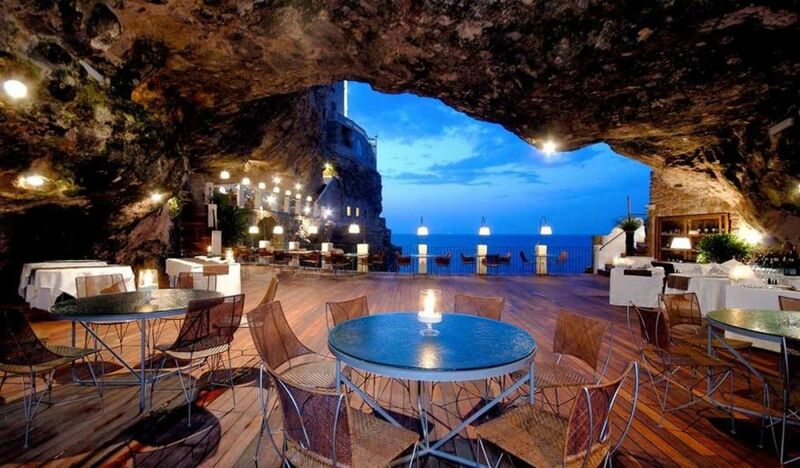 But what about the location? 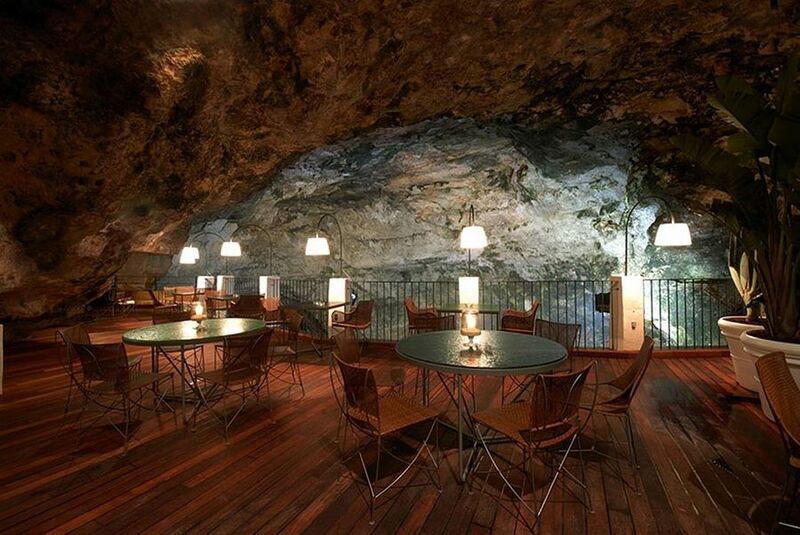 When it comes to the world’s greatest meals — ambience is as big a factor as any. 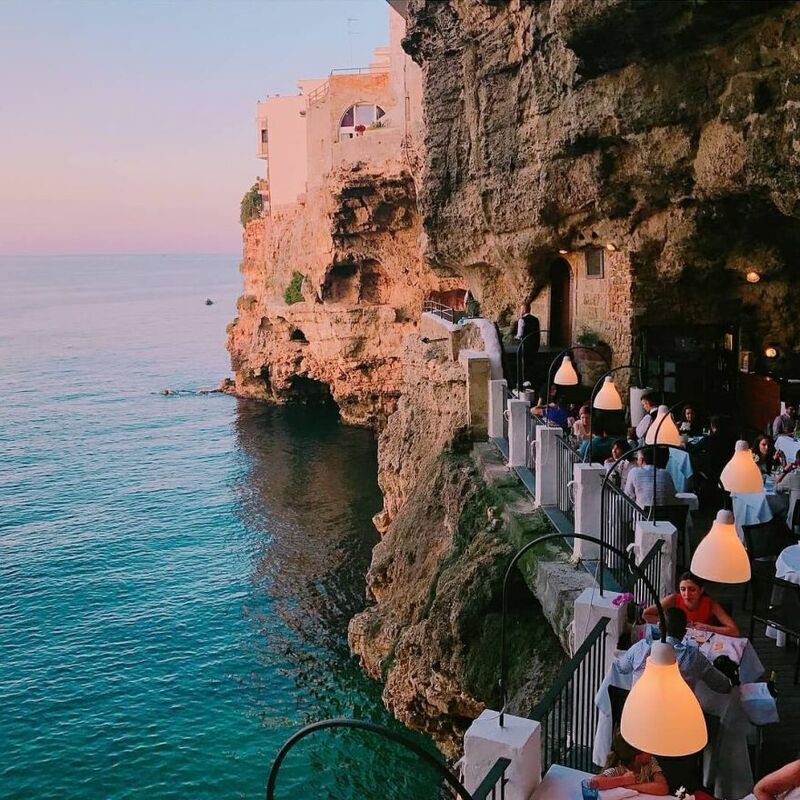 Regardless of whether you’re on a tropical vacation or at home in your own city, a restaurant with a view can take a dining experience from mediocre to magnificent. 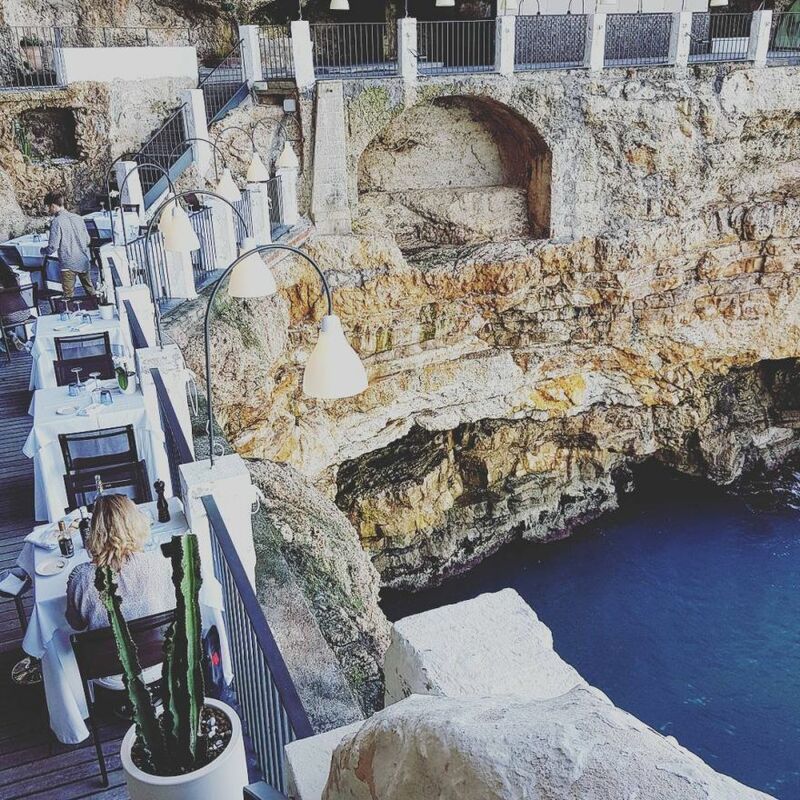 That’s why Grotta Palazzese restaurant, a place where mouthwatering plates are met with jaw-dropping scenery, is on our bucket list! 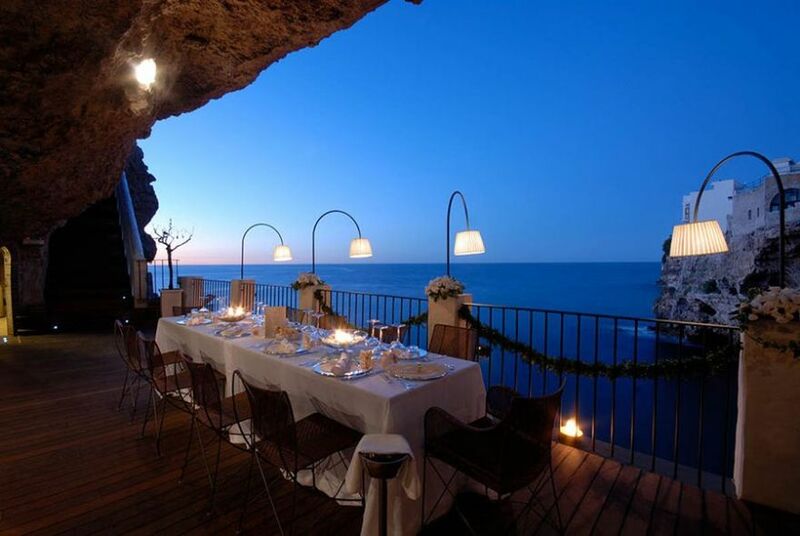 When looking for the perfect place for a special dinner, the surrounding s can be just as important as the food. 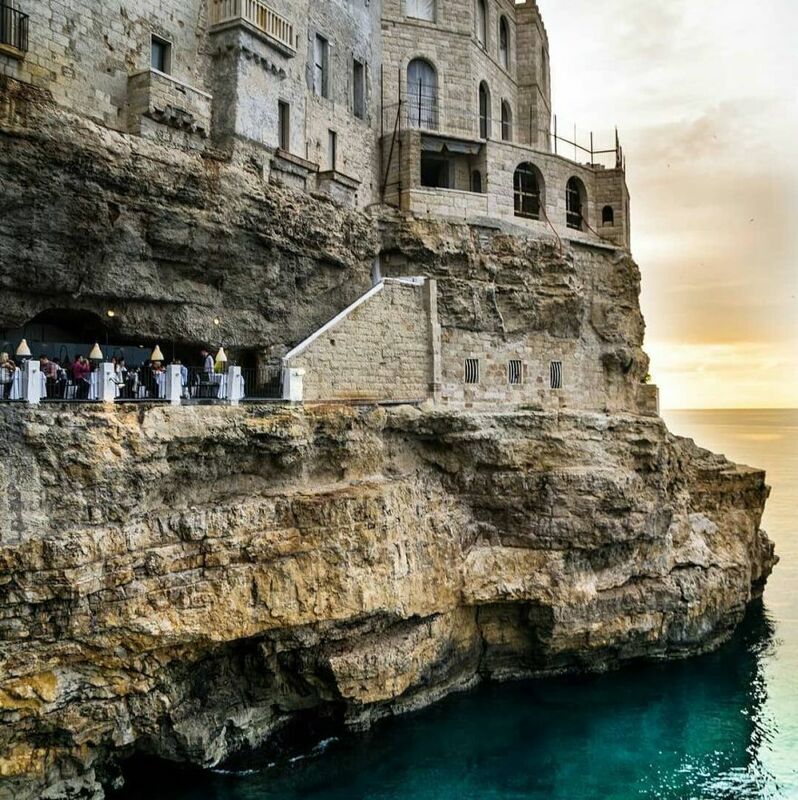 If you want a unique gastronomic experience, then you must travel to the city of Polignano a Mare in southern Italy, in the province of Bari, Apulia and make a reservation at the Grotta Palazzese restaurant. 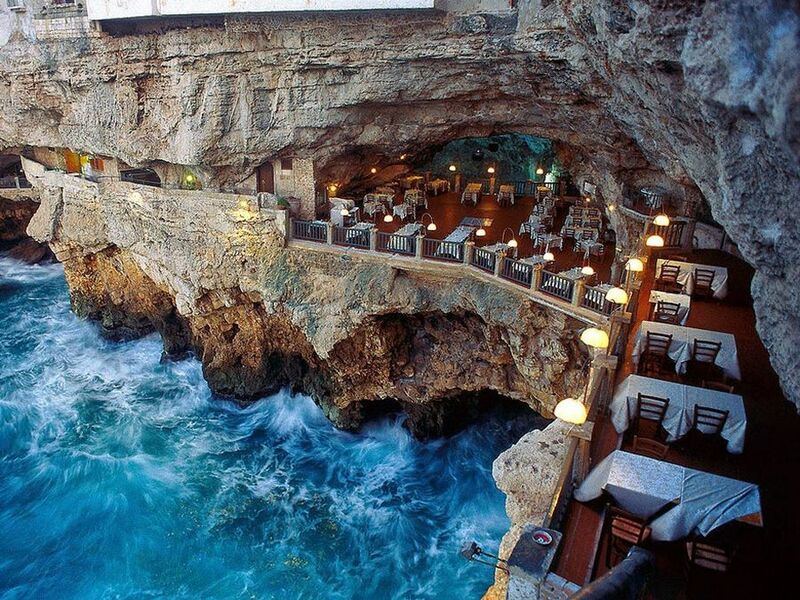 Part of the Grotta Palazzese hotel located above, the restaurant is carved from the cliff face’s limestone and just out 74 feet above sea level, allowing diners to watch the waves lap the shores just beneath them. 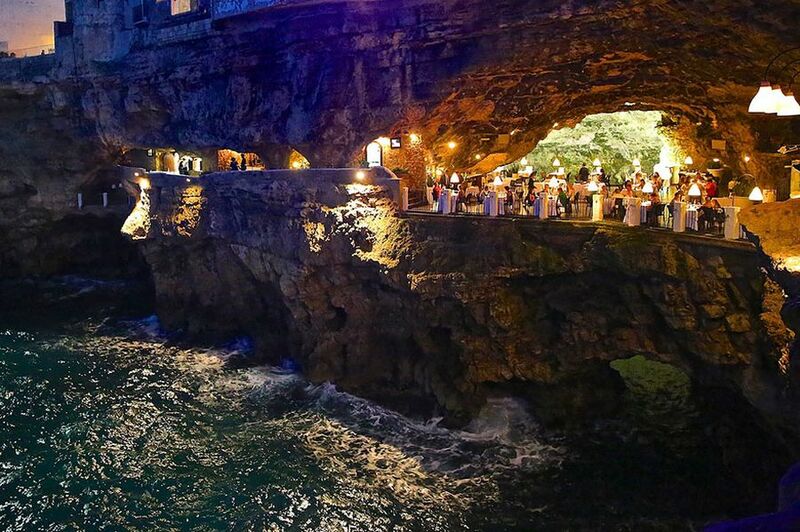 Stunning views over the Adriatic, a warm summer night’s breeze, wine in hand, Italian food en route…one of the world’s most unique dining experiences, for sure! 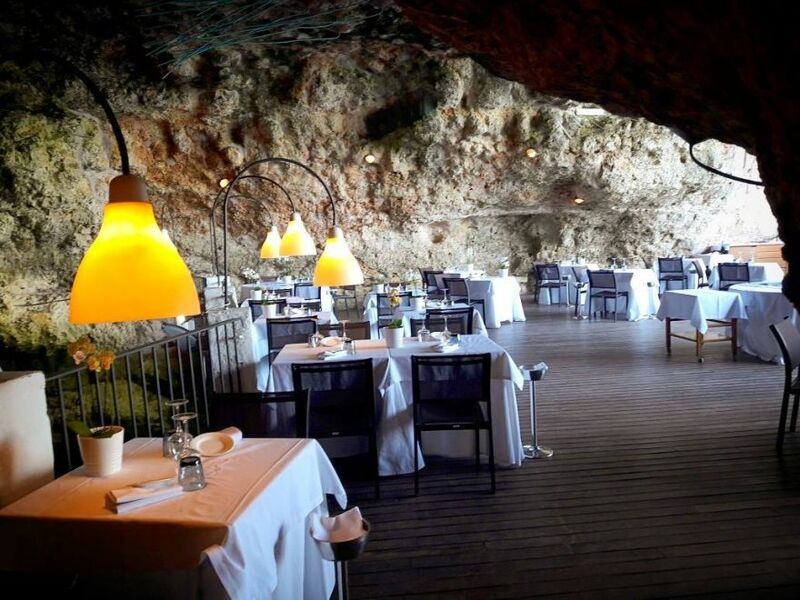 The refined restaurant is an exclusive, romantic place with glittering lights and glimpses of sea water, with wooden floors and simple furniture framed perfectly with the calcareous texture of the cave. 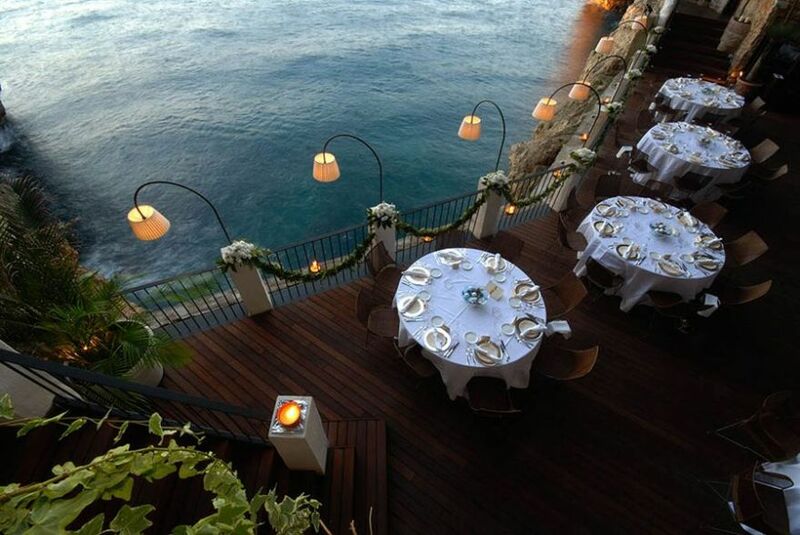 The tables are positioned in such a way that no matter where you reserve a place, the view is spectacular. 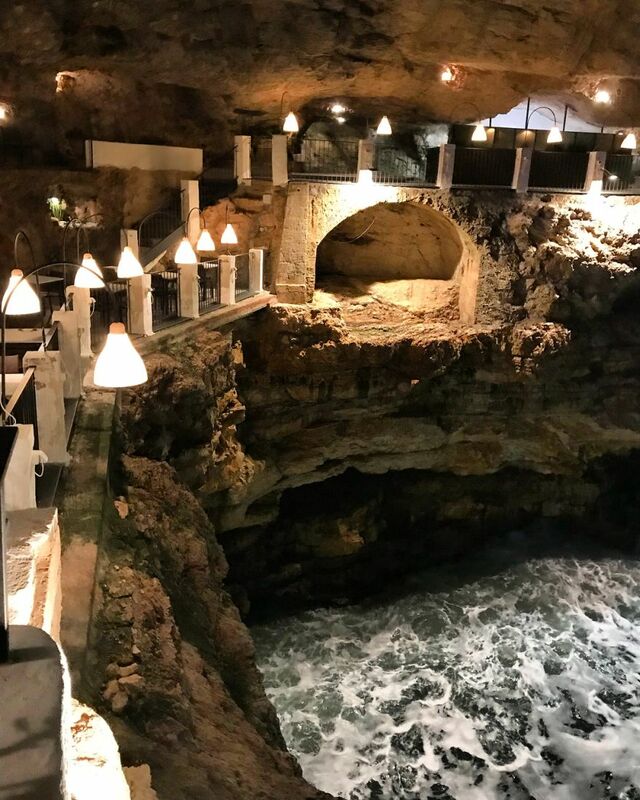 Grotta Palazzese restaurant is open from May, serving classic Puglian seafood and pasta dishes until October, when it closes for winter. 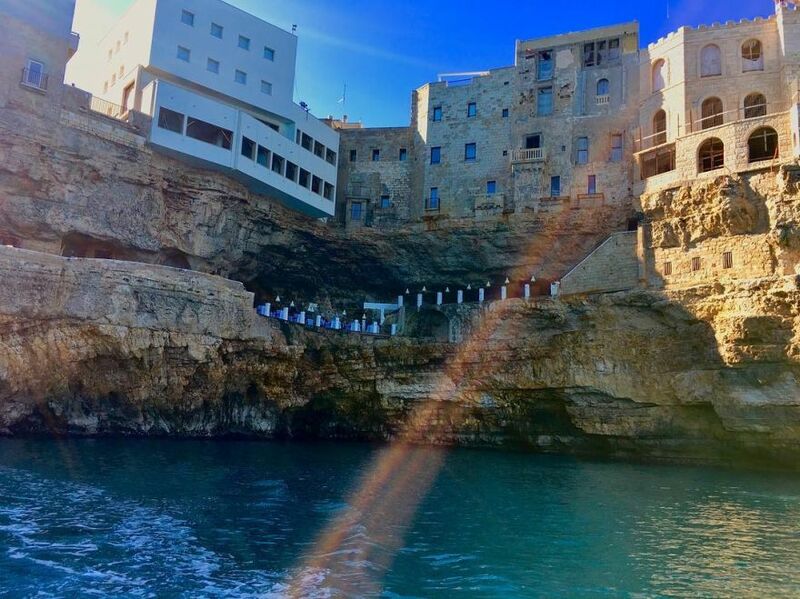 If you want to stay in a luxurious room located in the heart of the old town, then Grotta Palazzese Hotel, located above the restaurant, is available all year long. 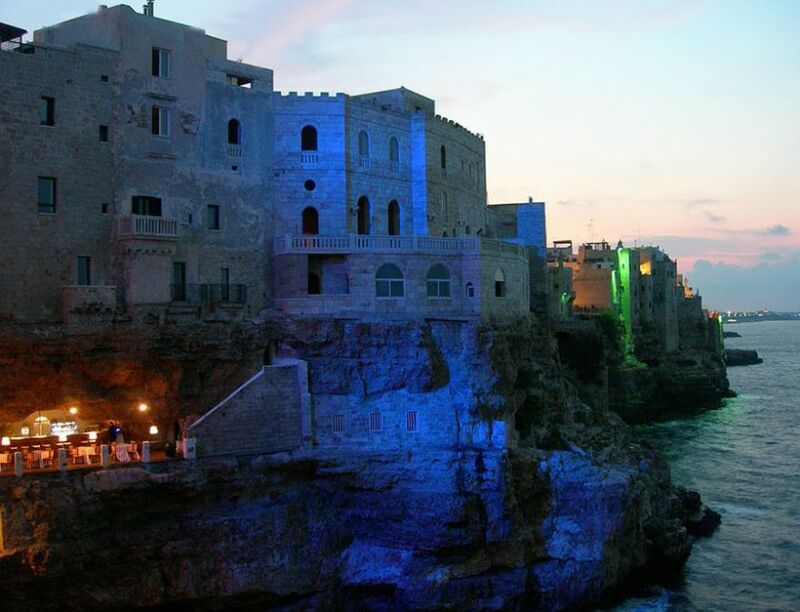 Visitors can walk on narrow medieval streets, built on steep rocks, with white scattered buildings and natural caves, admiring the spectacle of nature. 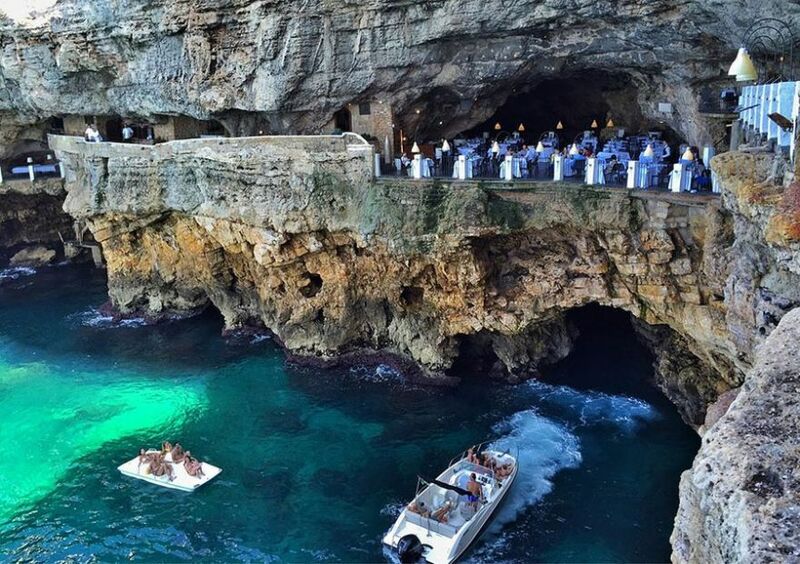 For details about the menu, accommodation and the map of the location, you can enter here. 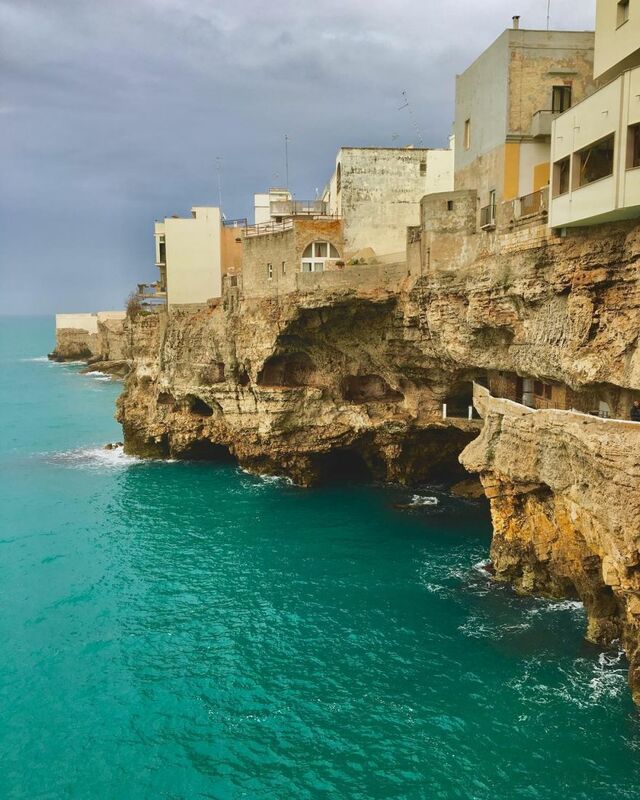 If you’re constantly planning your next weekend getaway and spending your days dreaming of jetting off into the sunset, chances are have been bitten by the wanderlust bug. There is absolutely no cure for this and you must keep traveling to satiate your addiction. It’s time to book your tickets for your next destination and we’re here to help you.